They still kicked our butts, you should be glad we won. 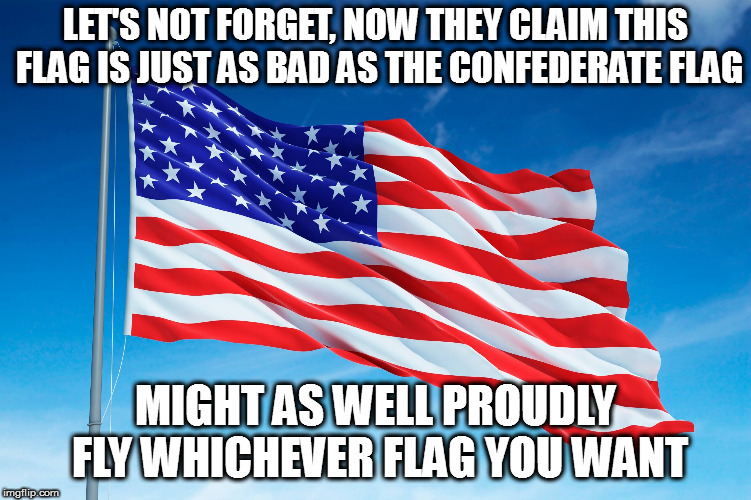 FIRST THE HATERS GAME FOR THIS FLAG, NO ONE CARED BECAUSE THEY DIDN'T OWN A FLAG. 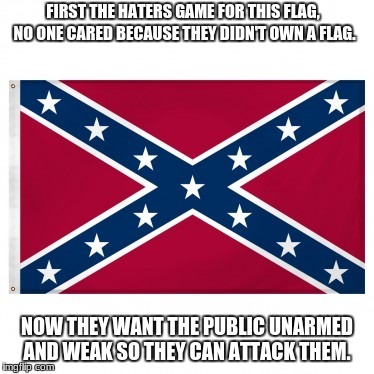 NOW THEY WANT THE PUBLIC UNARMED AND WEAK SO THEY CAN ATTACK THEM.